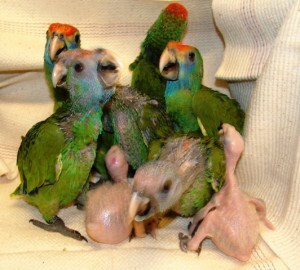 Although parrots know very well how to raise their offspring, and in most cases are the ones who take care of their young, sometimes some exceptional circumstances require our intervention. 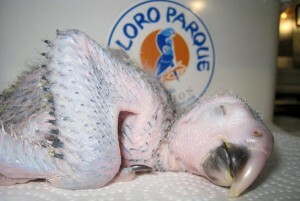 For the little ones to have the best care and the exact humidity and temperature they need, we have the Baby-Station, a handy breeding station where our experts, under veterinary supervision, attend all the needs of the young so that they grow healthy and can be returned as soon as possible to their aviaries. The Baby-Station is located inside Loro Parque and is dedicated exclusively to hand-rearing a delicate and laborious task which, thanks to large windows, visitors can observe very closely.